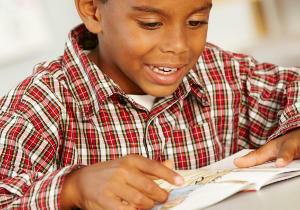 Bright Minds Tutoring offers tutoring in Wilmington, NC for all students and all ages. The company began because of one bright child with dyslexia who was struggling academically, and one parent who was searching for a solution. It was a frustrating search, with more questions than answers, and more misconceptions than facts. Through that search came a passionate desire to help other families who found themselves in a similar situation. For the past 7 years, April Coggins has been helping ‘out of the box’ learners achieve success in the classroom. She is a Dyslexia Specialist and has been trained in the Orton-Gillingham approach for both reading and math, as well as other evidence-based teaching methodologies. April has an MS in Special Education with a Specialization in Learning Disabilities and a BA in English. She stays abreast of the latest research and advancements in the field and shares her expansive personal knowledge base through the free resource library. April enjoys the challenge of uncovering each child’s unique strengths and gifts. She combines those strengths with research-based strategies to help a student overcome their limitations and reach their full potential. Terri Catron is a dedicated, creative, and goal-driven professional educator with over 16 years of classroom experience. She has a BA in Early Childhood Education and an MA in Early Elementary Education. Terri specializes in helping children in K-3 develop core competencies in reading and math. She is a resourceful and committed teacher, able to quickly assess a student’s needs and differentiate instruction as necessary. Terri is passionate about helping all children achieve success and believes that one-on-one tutoring allows her to better meet that goal. As a licensed Special Education teacher for the past 5 years, Melissa Proctor has provided math and reading intervention support to elementary and middle school students throughout New Hanover and Pender county. Melissa has supported students with learning disabilities, autism, emotional/behavioral disabilities, intellectual disabilities, and developmental delays in a variety of settings. She most recently served as an Exceptional Children Department Chair at D.C Virgo Preparatory Academy. She has also supported students at the Autism Society of North Carolina, South Topsail Elementary School, Topsail Elementary School, Edwin A. Alderman Elementary School, and the UNCW Education Lab. Melissa received a Bachelor of Arts in Special Education from the University of North Carolina – Wilmington. Toni is a dedicated and caring educator with over seven years of experience working with young learners. She graduated from Meredith College with a license to teach grades K-6 and received Meredith College Teaching Fellows accolades upon completing the program. She also graduated with a BA in English, specializing in Shakespeare. Toni has presented research at conferences along the east coast and began her teaching career in Raleigh. New to the Wilmington area earlier this year, she was excited to join the Bright Minds team to continue to work in a field she is passionate about. Toni believes in creating a fun and creative learning environment where her students feel like the sky is the limit. "April has been tutoring our dyslexic children over the past few years. Her passion to teach children is unbelievable. April's knowledge has given each child the skills and confidence to succeed. Her tutoring approach has kept the sessions exciting for each child even though there is a five year age difference. April has loved and supported our entire family as we adapt to each chapter in our lives." April's friendliness coupled with her professional knowledge of learning disabilities and dyslexia make her a valuable resource to parents, teachers, and students.